On Sunday 26th June 2016 we set up our prefabs stall and banner at the East End Canal Festival in London. 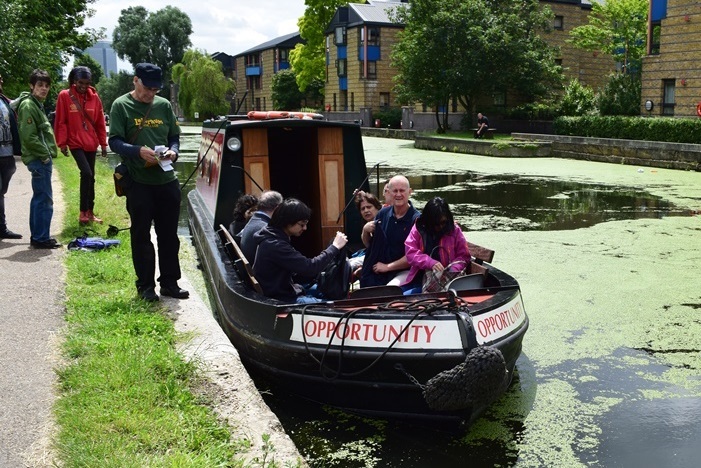 The festival was organised as part of the East End Canal Heritage Project by Carolyn Clark and the Laburnum Boat Club, to celebrate 200 years of the rich heritage and history of the canals. Along the eastern bank of the Regent’s Canal lies Mile End Park. 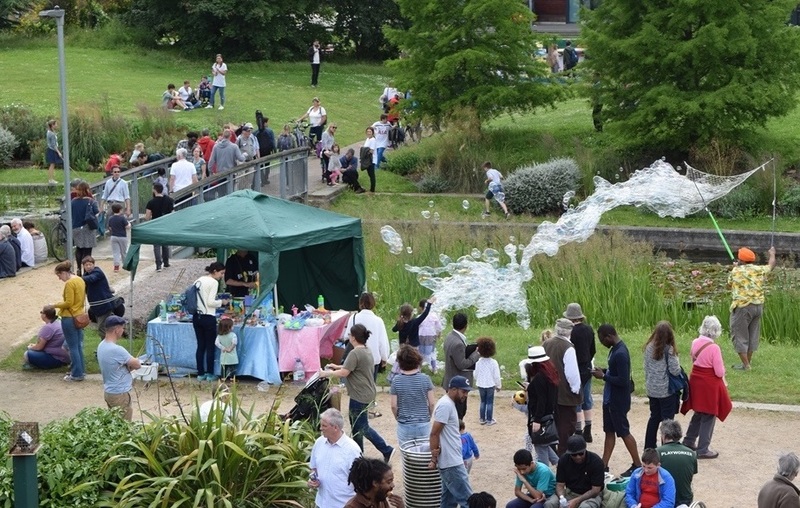 A linear park which to the north is separated from the southern edge of Victoria Park by the Hertford Union Canal , it covers 79 acres of former industrial land and housing which was devastated by the Blitz. And wouldn’t you know it, there used to be prefabs there! A plan had existed since the mid 1940s to create a park, and although parts of the park were created in 1952, 1966 and the late 1980s the plan wasn’t fully realised until 2004. This beautiful park also houses the Art Pavilion, where the East End Canal Festival was held. 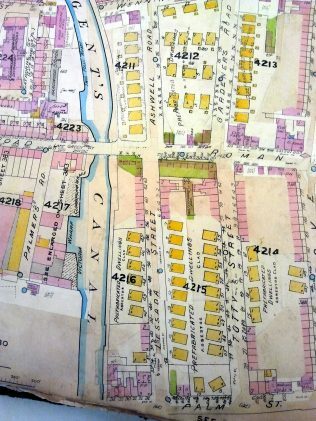 Here is a plan of the prefabs by the canal, on Totty and Lessada Streets and Gardeners and Ashwell Roads, from the 1951 GOAD map which Carolyn sent us. For future reference, some are marked ‘ASBESTOS’! We don’t know what date they were demolished but we met a lot of people who knew where prefabs were – and one that still exists, an LCC mobile home abandoned and derelict off the Commercial Road in Stepney. All locations are now on our map. 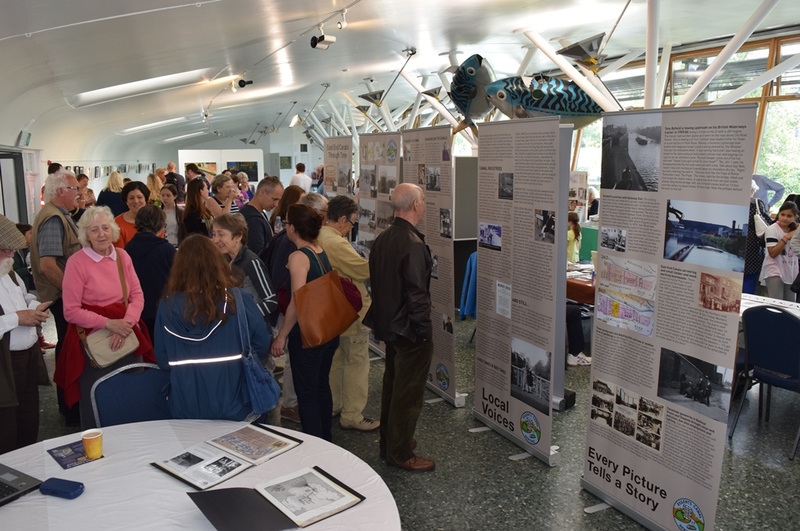 The visitors to our stall were full of curiosity, information and surprises. One had lived in the same group of prefabs as Barbara Windsor! 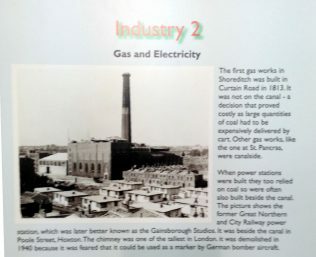 I was asked to solve a puzzle in this photo of the Great Northern and City Railway Power Station, closed in 1914 and which later became Gainsborough Studios, beside the canal in Poole Street, Hoxton. 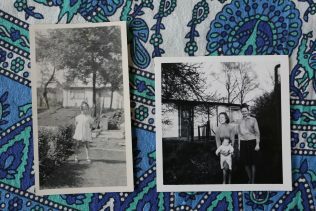 The puzzle was the power station chimney had supposedly been removed in 1940 as a precaution – so how could prefabs be there? Further investigation reveals that the film studios closed temporarily in 1940, in case bombing so close to the canal caused the chimney to collapse, and the studios reopened in 1946. 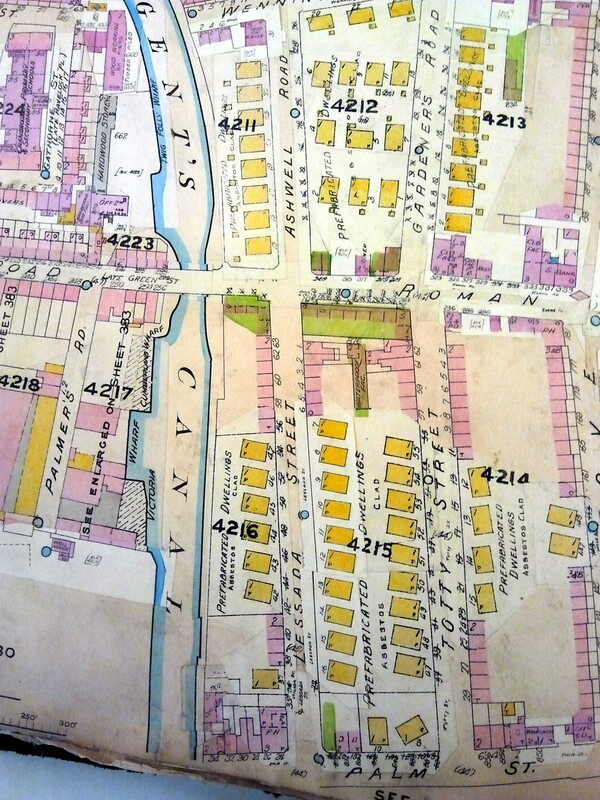 The prefabs in the photo were on Poole and Dorchester Streets, shown clearly on the Ordnance Survey map of 1953, and were demolished between 1964 and 1973, to create Shoreditch Park. Visit Shoreditch Park Project, about prefabs on the park. 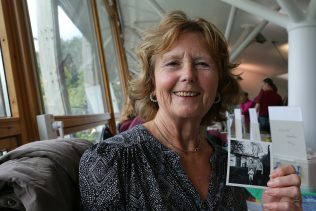 A lovely lady, Penny, came all the way from Wembley to show us her old photos of her childhood in a uni-seco prefab in Neasden, North West London. She apologised for the tiny size of the photos and was lovely. “I can only remember being happy there, and the sun shining. Of course it was not shining all the time but we were happy. And I remember one year, we had also a plum tree and we had so many plums on it, my sister and I went knocking on other prefabs doors asking if people wanted some. So we collected their washing-up bowls, filled them with plums and brought them to them!”, she told us among other touching memories. Thanks to our new volunteer Christine who came all the way from Dartford to help us on the day! You can view a slideshow of the event here. Photos courtesy of Jim Ives.